In 2000 my father and I attended a model expo fair. It was here that I saw gas powered cars for the very first time. My career started in 2001 when I bought a used Thunder Tiger Mirage V-Spec, running it at a couple of local races before I started the Tuscany zone championship. At the end of my first year of racing I bought my first serious race car, a Kyosho MP7.5. I ended up 2nd in the Tuscany championship with 3 unfinished races of 5. I dominated the Italian championships F2 (TQ and Pole after semi-final) but during the final I experienced a flameout, resulting in me finishing in 5th place overall. From 2003 I stated my real career in the F1 class; in 2004 I was sponsored by a local shop and attended my first European Championship, Monsummano. During 2005 I was sponsored by Radiosistemi until 2008 where I race for Kyosho! Favourite track: My favourite track is “club cms” In Monsummano city; I like a lot this kind of track because I start there to upgrade my skills. Favourite Event: My favourite event is for sure World Champions, but its normal thing, so I think my other favourite event is the Neo Race. 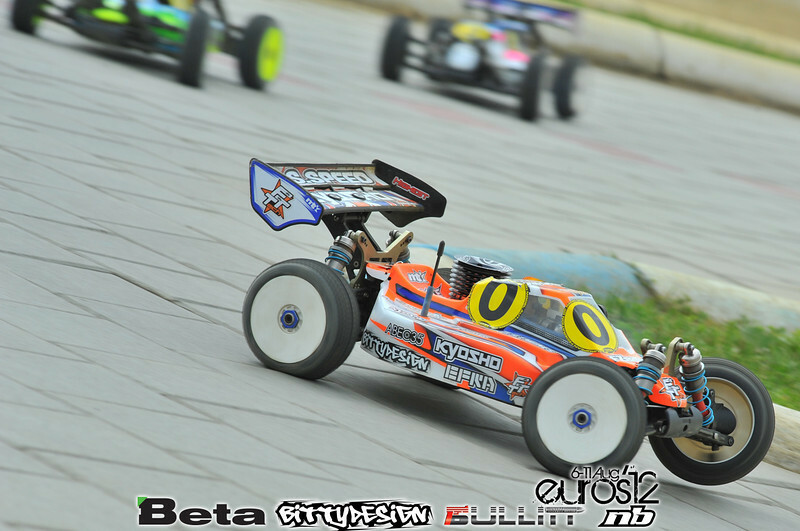 Best RC moment: My greatest moment is when I take for the first time an Italian nats main final, It was incredible, because I was follow this goal for more than one years before, but for an unluckily situation I never get it. Goals: My goals is grow FTTech, and became a good brand in RC car market, then another goal is help the users of my sponsors products. Best RC buddies: My best RC buddies are for sure Samuele Lenzi and Gianmarco Razzi, Lenzi they have taught me to drive fast. Instead with Razzi I share the first moment of my career, so we dreamt together to do the first Main final in a zone championship, then the first main final in a National championship and other and other, now I’m lucky because I work with him and we run in the same class, with the same car and in the same races. RC Rivals: I don’t have a real rival, because usually you take a rival when you find one person that start and increase his results with you, a person who you fight every race, but all my competitors in Italy, have started most years before me… Or most years after me… So I have only big competitors, but they change every year.